No Fourth of July is complete without a backyard BBQ. 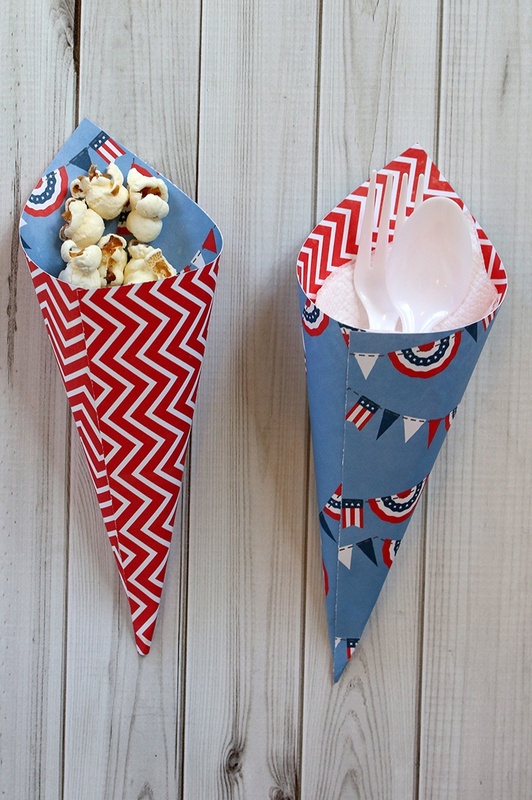 These cute treat cones are perfect for holding utensils or snacks like popcorn and trail mix. 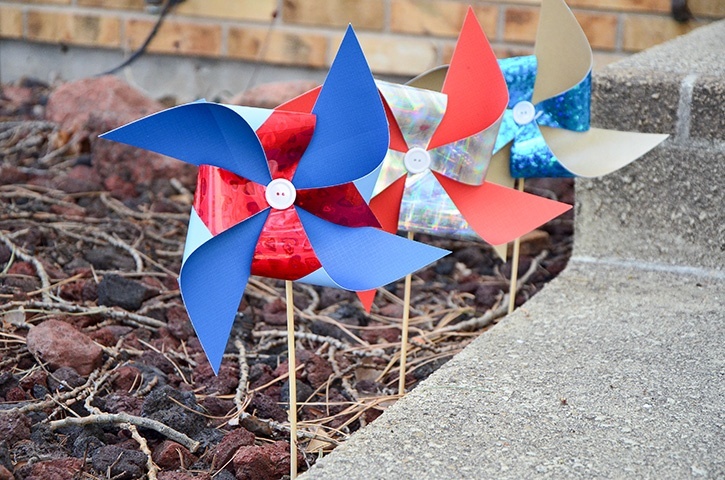 They’re simple, fast, and inexpensive to make! One sheet of 12”x 12” paper will make four cones. 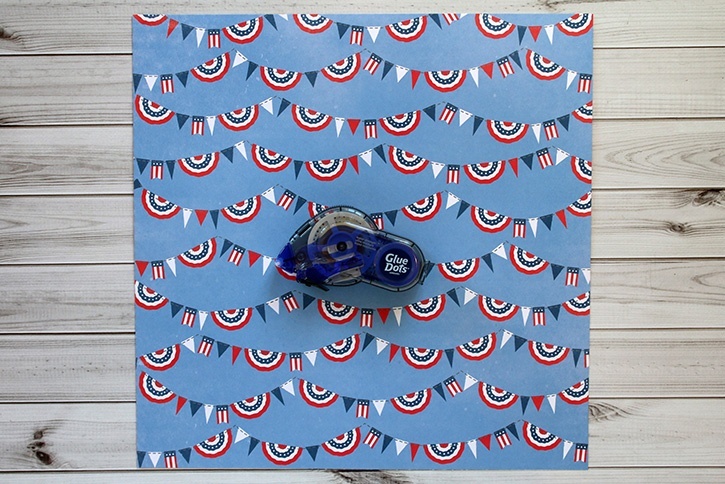 12”x12” sheet of double sided patterned paper. 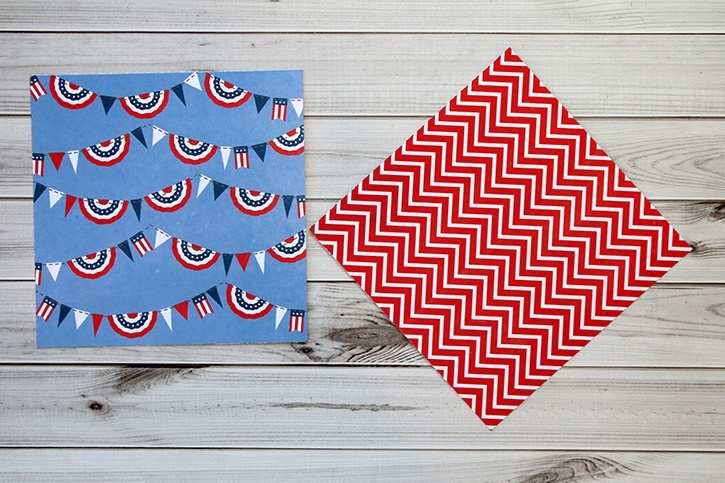 Cut a 6”x 6” square of patterned paper (cut your 12" x 12" into four pieces). Turn the paper so it’s oriented as a diamond instead of a square. 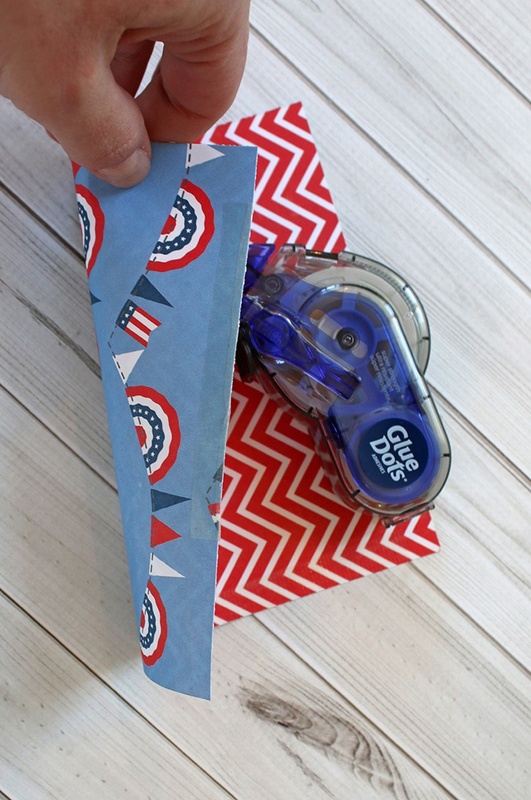 Use Premium Permanent GlueTape to put adhesive on the front of the bottom, right hand edge of the patterned paper. 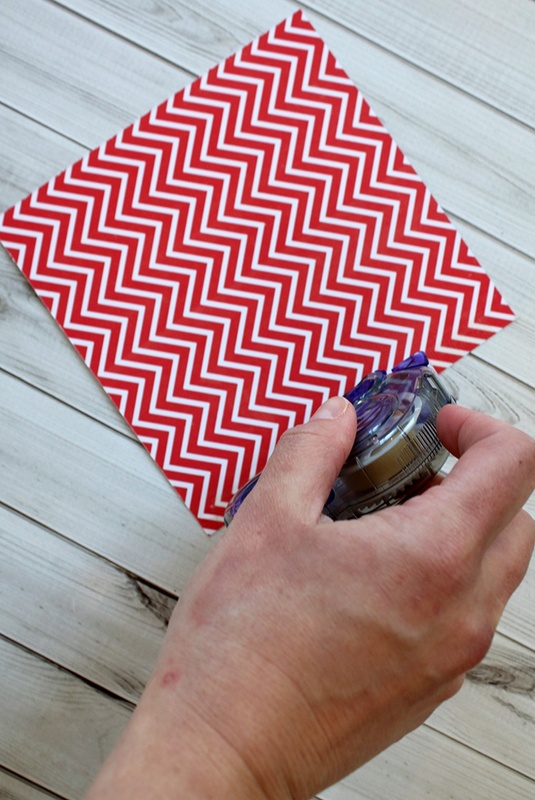 Use Premium Permanent GlueTape to put adhesive on the back side of the bottom, left hand edge of the patterned paper. 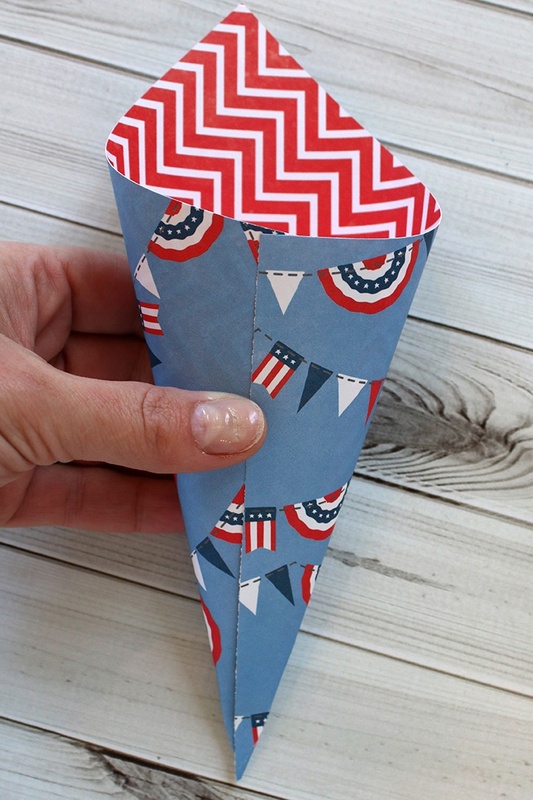 Roll the paper into a cone and press along the edges to seal the adhesive. Premium Glue Tape is strong enough to stand up to the bending and pulling. The dispenser helps it apply quickly and evenly. 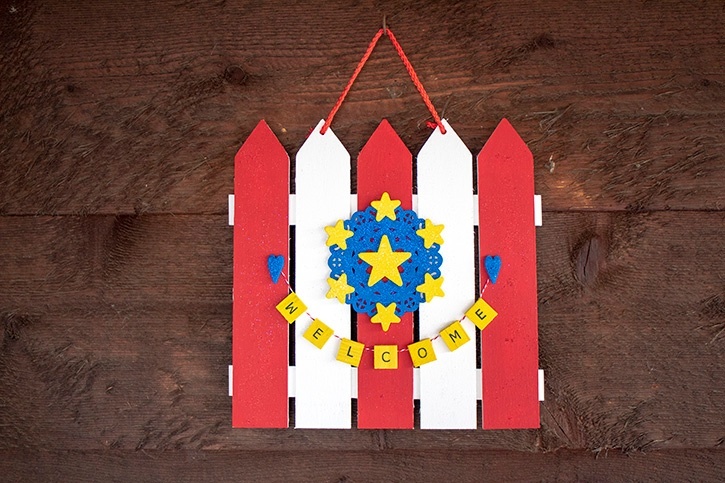 Whether you have 4 or 40 people at your BBQ, they’ll all love this fun decorative touch. 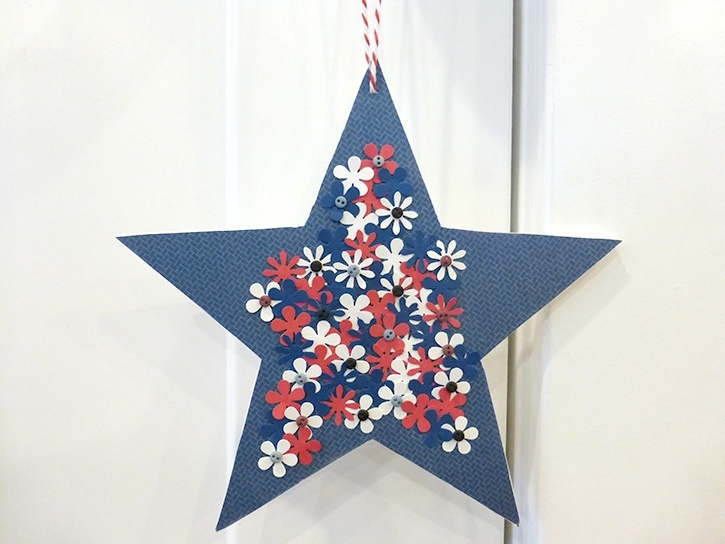 My name is Samantha Taylor and I have a passion for combining crafting and creativity to beautify life. I live in a small town in rural Iowa with my husband and 2 boys (all 3 of whom you’ll see featured in my projects). I’m a paper crafting fanatic who also loves photography. I enjoy making lay outs, cards, mini albums and home decor items, party decorations, and crafting with my kids. My favorite thing about crafting is getting to connect with so many people all over the world who also love creating pretty things and preserving memories. You can find more from me at www.taylorstamped.blogspot.com. 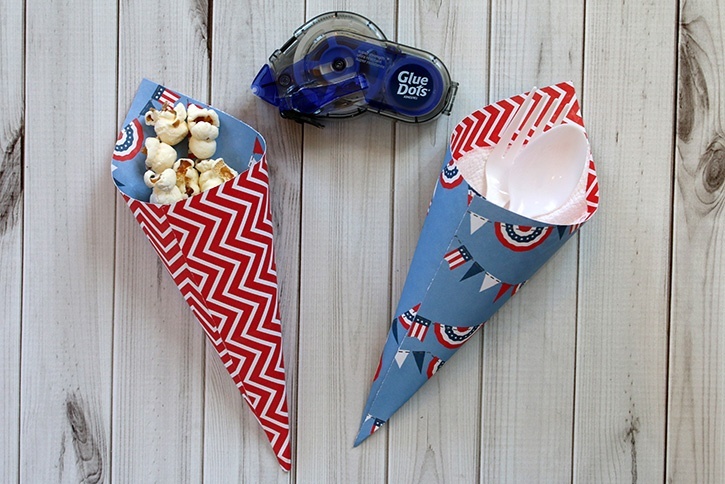 I am so excited to share with you my love for the many uses of Glue Dots®!